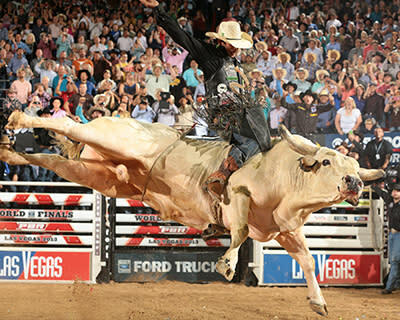 The PBR’s (Professional Bull Riders) Real Time Pain Relief Velocity Tour will bring its thrilling, adrenaline-filled, edge-of-your seat excitement to The Well for a one night event on February 10, 2018. For one huge night, some of the best bull riders in the world will battle the sport’s toughest bovine athletes. The thrilling 8-second rides and heart-stopping wrecks make the PBR’s Velocity Tour one of the most exciting live sporting events to see.